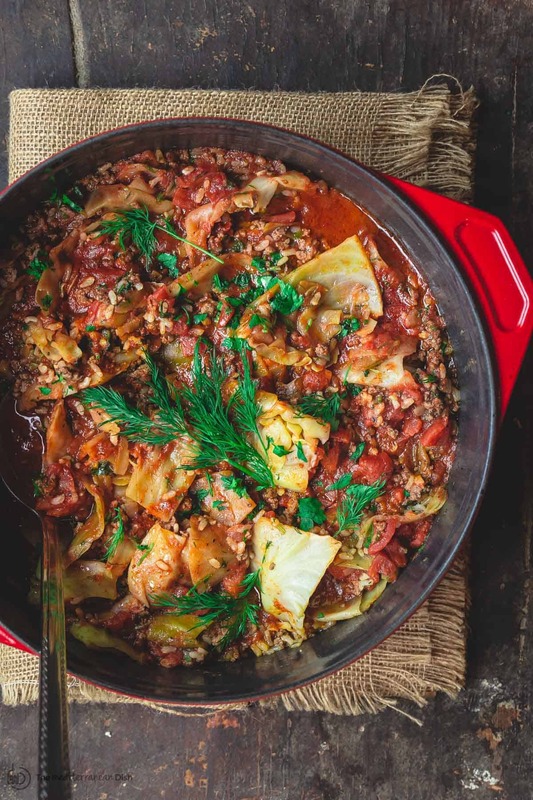 These are the best cabbage rolls! I could eat them daily! So glad, Rachael! Thanks for trying it! 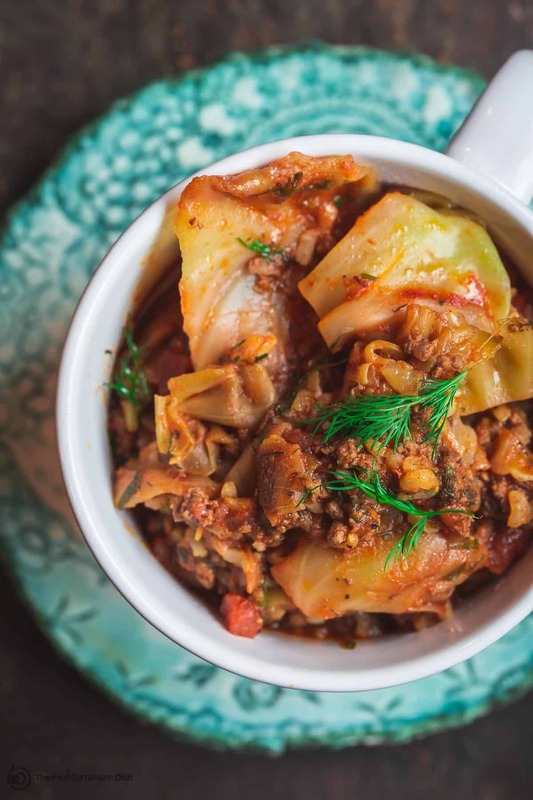 I grew up eating stuffed cabbage as well as unstuffed cabbage rolls. I like your version with the Mediterranean spices. 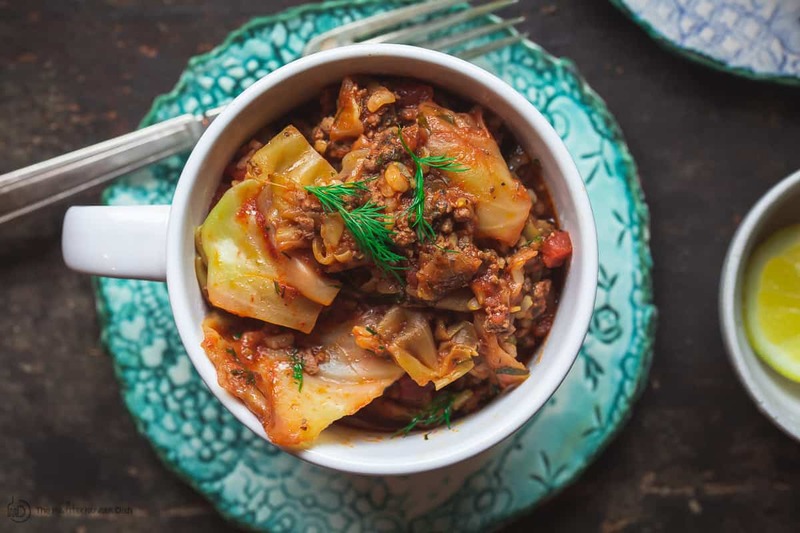 I’ve tried a few deconstructed cabbage roll recipes and love them but I really like your Mediterranean take on this with the cumin. 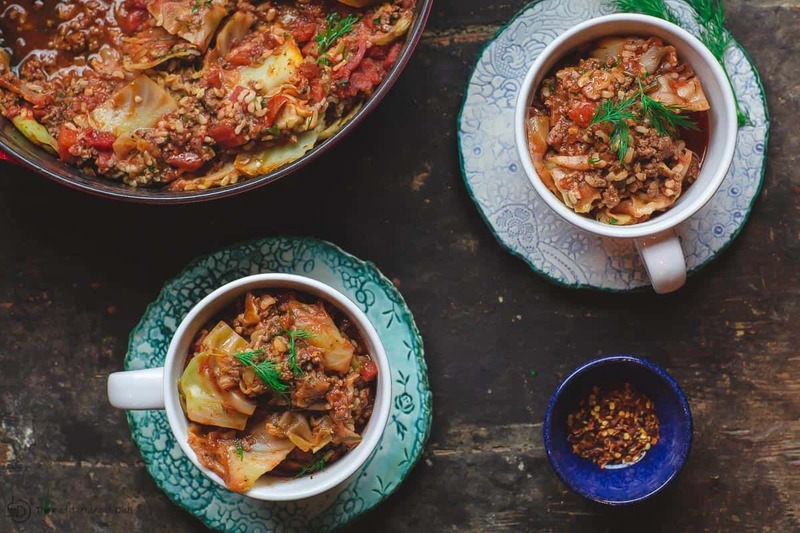 This is fantastic, we love cabbage rolls and this really takes a fun and delicious spin on them! I’m with ya! Thanks, Alli! This is fantastic!! I can’t wait to try ti! 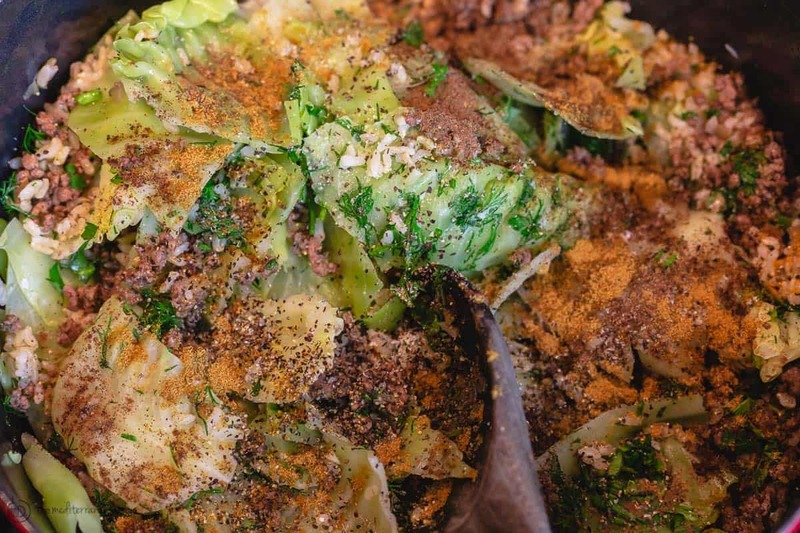 Thank you for taking the “work” out of stuffing cabbage leaves. This looks hearty, healthy and utterly delicious. Pour the wine and pass a plate. I loved how flavorful it was! Really delicious! I loved the taste of all that beautiful herbs ! My favorite is dill and the whole dish reminded me of a hot nice afternoon by the sea. Delicious ! Hi Cindy. I typically use green cabbage. Enjoy!! Cabbage doesn’t get enough love and this is such a great way to highlight it! 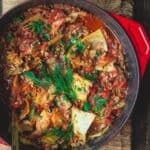 Hi Suzy, Can you make a vegetarian version of this recipe? Yes! You can swap out the meat for chickpeas. I will add this note in a minute! So comforting and delicious! 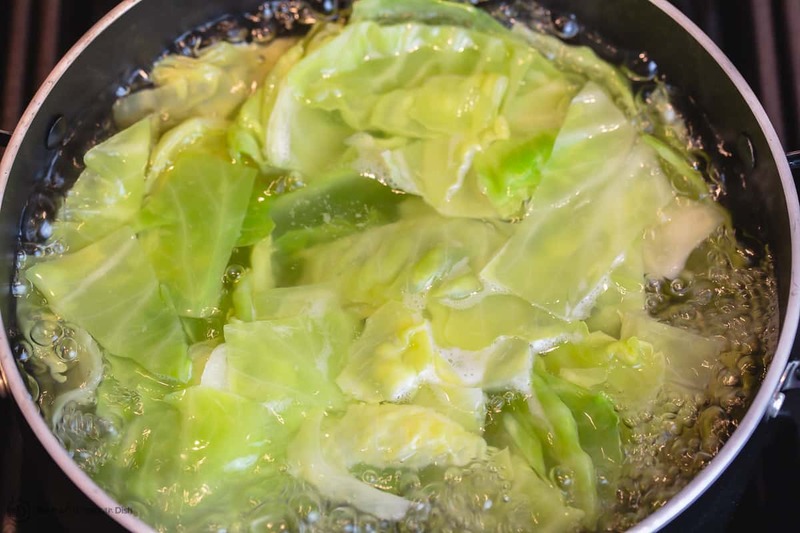 Love this easy method alternative for cabbage rolls! This cold weather screams for warm and cozy dinners like this! 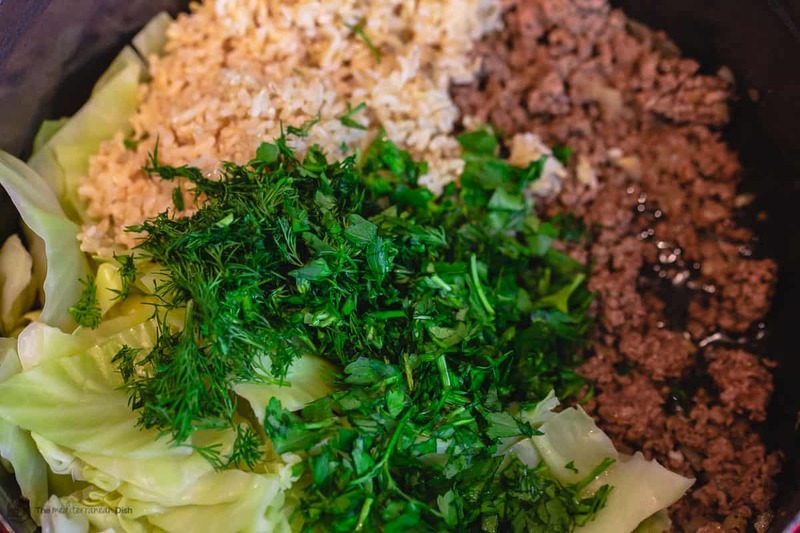 Can I use something besides rice, quinoa or a legume? You can use quinoa or farro! Just cook according to pacakge instructions first, then follow the recipe. This is exactly what I had in mind for dinner tonight. I’m on my way to the store to get what I need. Thanks so much. Stacy, so glad! Hope you enjoyed it! I love this recipe- and I love the concept! I can’t wait to make this! 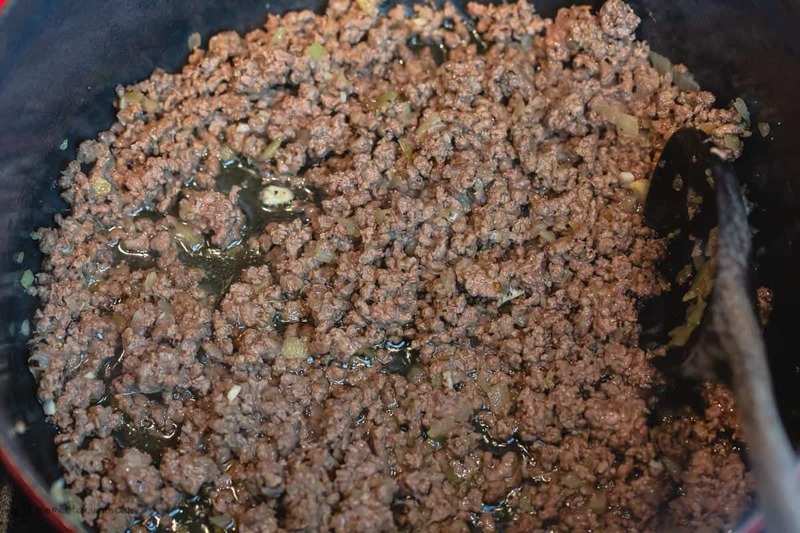 This is a delicious twist on a classic recipe. SO tasty! Yay! Thanks so much, Aimee! This looks amazing! I am going to the grocery store today to get the ingredients. I am going to fix it tonight! 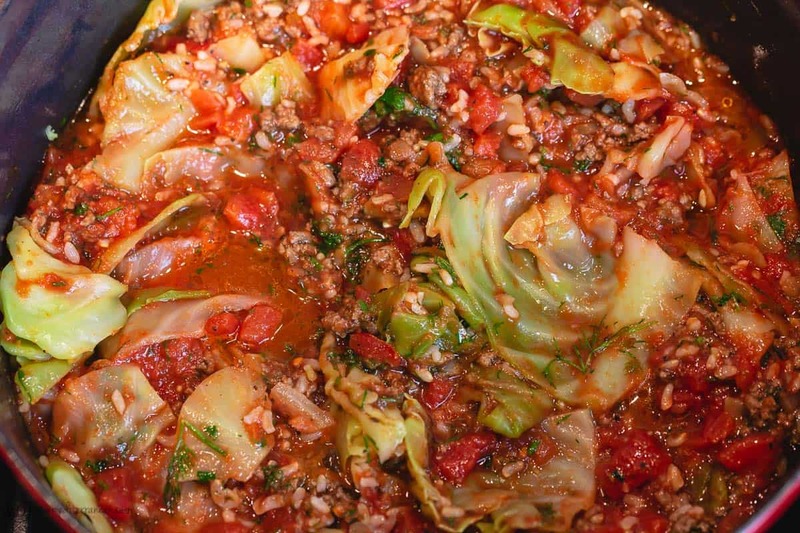 SO easy and these bring back memories of my mom’s cabbage rolls!